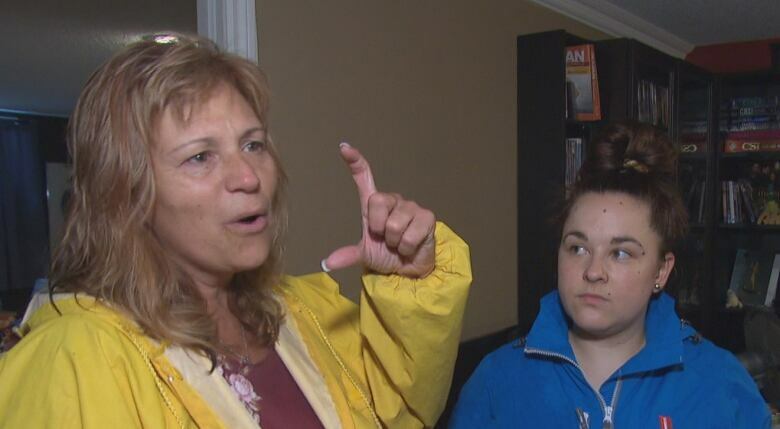 Some people living in Gatineau, Que., are facing flooded basements for the second time in nine months, leaving homeowners reluctant to approach insurance companies out of fear they'll lose their coverage. Heavy rains swept through the region Monday, overnight Tuesday and into Wednesday, flooding culverts and triggering sewer water backups. For Julie Thomas, it's déjà vu after she and several of her neighbours were flooded last October. The city washed its hands of the problem then, she said, blaming the heavy rains on Hurricane Philippe. "We don't know what to do anymore," Thomas said Wednesday while helping another neighbour clean up. "We have to take care of each other, but it's lots of money and it's discouraging." Thomas said she and her neighbours invested in costly plumbing upgrades last fall and were assured it would prevent further floods. With those upgrades proving ineffective, she said it's time for the city to come clean and give answers about what's causing the floods. Louise Petitclerc, who works at CBC, said she isn't sure how she'll cope with this second flood. "This time it's really sewer water, so it's disgusting," she said. 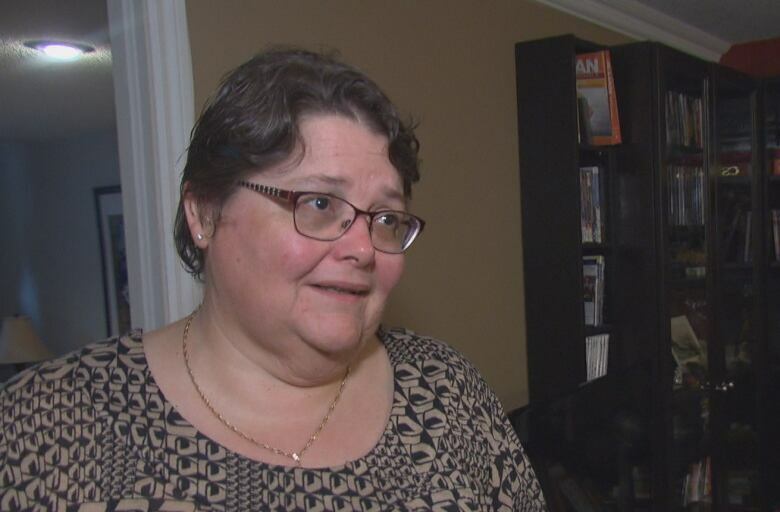 With four inches of dirty water in some parts of her basement, Petitclerc said she'll have no choice but to replace her floor and furniture. She's also worried about her daughter and grandson, who both have rooms in the basement. "I don't know what we're going to do with that. It's bad," she said. Meanwhile, Michael Barber is keeping a close eye on his shop. 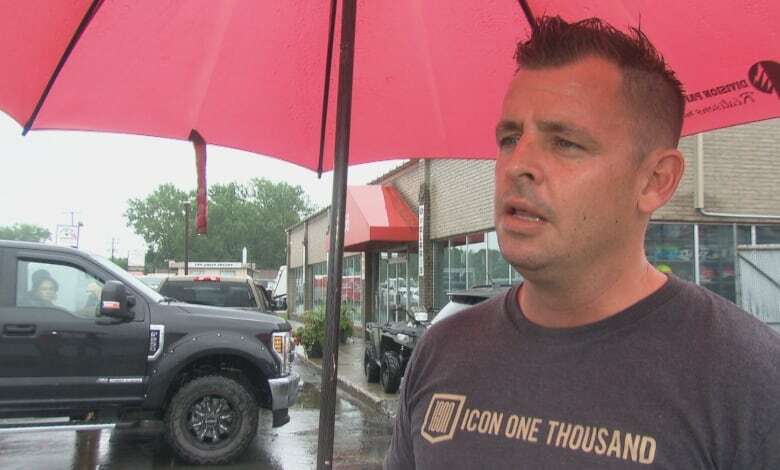 The president of Moto Gatineau is hoping to avoid a repeat of last October's floods, which he said cost him $1.5 million in lost goods. With pumps at the ready, Barber said he's frustrated to find himself potentially facing more losses. 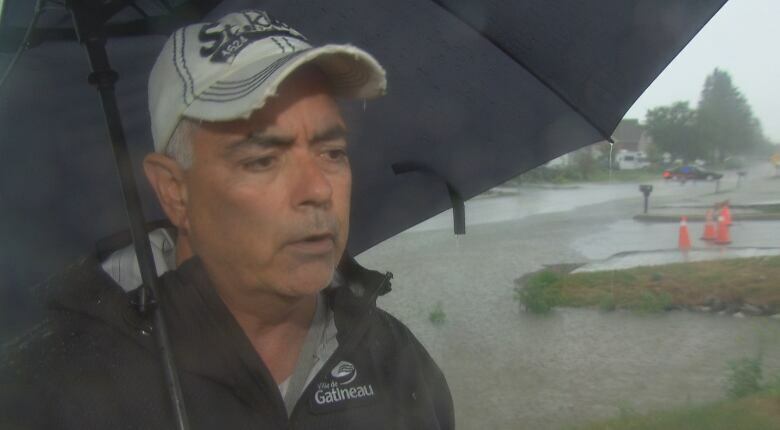 "We gotta go forward with the questions we have [for the City of Gatineau], because it's the second time we get flooded," he said, pointing to the water pooling in the street. Pierre Lanthier, the councillor for Gatineau's Bellevue district, said he's been getting an earful from frustrated residents. "We're trying to do everything we can do right now to help the people around here," he said, standing near a flooded culvert. Workers from both the City of Gatineau and Quebec's Transport Ministry are working to drain water-filled culverts, Lanthier said. Part of the problem, Lanthier said, is that some houses have illegal connections to the city's water supply, which can increase the risk of flooding after heavy rains. Lanthier said it's too soon to say what steps the city might take to avoid future floods, with the city currently focused on making sure people are safe. In a news release issued Wednesday, the city said the Riviera mobile home park could be evacuated due to flooded culverts. All outdoor pools, wading pools and beaches are closed for the day, along with all soccer fields. Maloney Boulevard East is closed between Chamberland and Côtéville, Saint-René Boulevard East is closed at rue Sunset, and White River trail is also closed. Residents worried about continued flooding can pick up sandbags at the city's garage at the intersection of Labrosse and Saint-René boulevards.